Everyone wants to have a beautiful smile and thanks to modern dentistry, this is now easily achieved through various cosmetic procedures. Teeth whitening is one of the most requested procedures and there are several options to consider when choosing to brighten your smile. Our team of dentists is ready to provide complete and quick teeth whitening procedures in Romania at affordable prices. When choosing to change the colour of their teeth, patients may choose between tooth whitening – the procedure for restoring the natural white colour of the teeth or tooth bleaching – a procedure that aims to whiten beyond patient’s the natural colour. 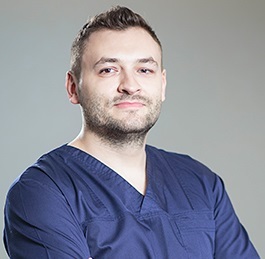 Our dentists in Romania can offer you a complete consultation and will discuss with you the available options, depending on the dental colour shade you want to achieve. - at home teeth whitening methods. In-office bleaching usually requires one visit to the dentist. The desired colour can be achieved either by using special gels or by using light energy to accelerate the process. A special protective layer is placed on the gums to ensure that the patient does not suffer any chemical burns. 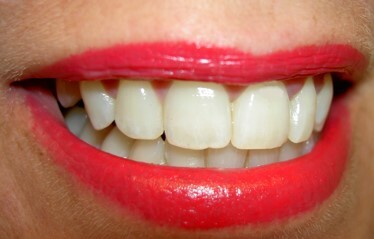 Internal bleaching is used to treat teeth that have suffered changes in colour due to internal causes. Endodontic treatments may affect the colour of the tooth and internal bleaching brightens the tooth from the inside. Teeth whitening can also be done at home, using a variety of products specifically created for this purpose, such as gels, toothpastes or even toolkits. Dental bleaching should be done with caution and it is best to seek the advice of a dentist even when using approved products for dental whitening methods at home. Our dentists are ready to answer any questions regarding teeth whitening and can provide a complete dental treatment plan. Prevention is the key and a good oral hygiene can delay changes related to the colour of the teeth. Although our teeth age and in time they change colour, we can prevent the darkening by paying attention to our diet. Coffee, wine, tea and tobacco can stain the teeth and even certain antibacterial medicines can have a negative impact on the colour of our teeth. 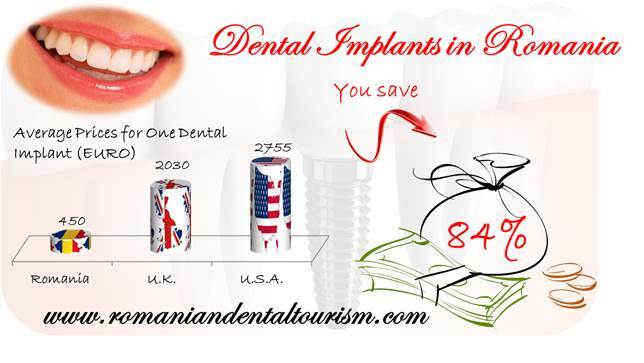 Please contact our team of dentists if you are interested in a dental tourism package in Romania. We can provide specialised dental treatment plans for cosmetic dentistry or other treatments, like dental implants.